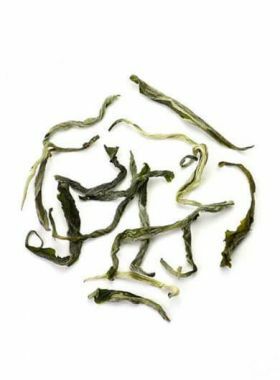 This Dragon Well Long Jing Tea is a perfect affordable daily tea for Longjing Tea lovers who are favoured bold and stronger green tea taste. 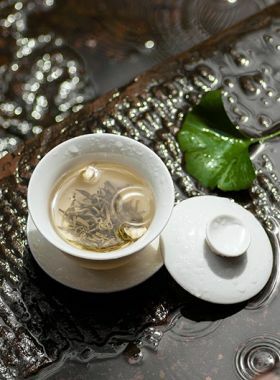 Dragon Well green tea, also called Long Jing, is commonly regarded as one of China’s top ten teas and is often served to visiting heads-of-state. Apart from an amazing sweet taste, this tea’s significant difference from other teas is its smooth, flat appearance. We at TeaVivre have selected a great example of this Long Jing tea, from Xihu. Whenever you feel upset or restless, Long Jing is the perfect drink to relax and calm you. 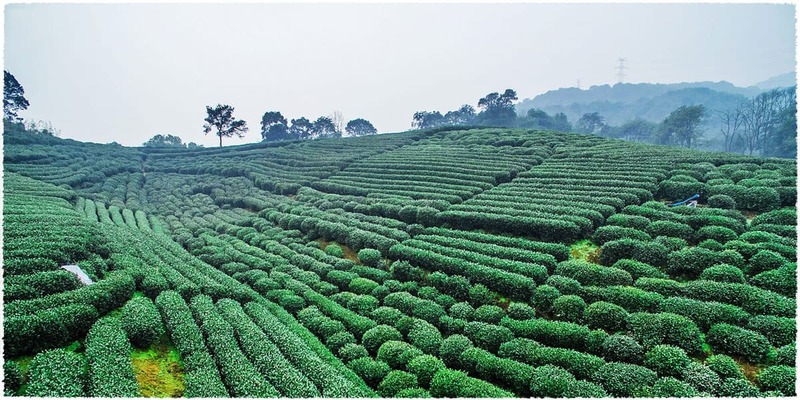 Longwu Tea Garden is located in the Xihu area, with the Dadou Mountain and Xiaodou Mountain to the west, and a large area of tea gardens in the north and south, giving this area natural rolling scenery. It is regarded as the protection base of Xihu Long Jing tea by the government. This Dragon Well green tea comes from Longwu Village in the Xihu area, a farm in China known for producing the best Long Jing teas. 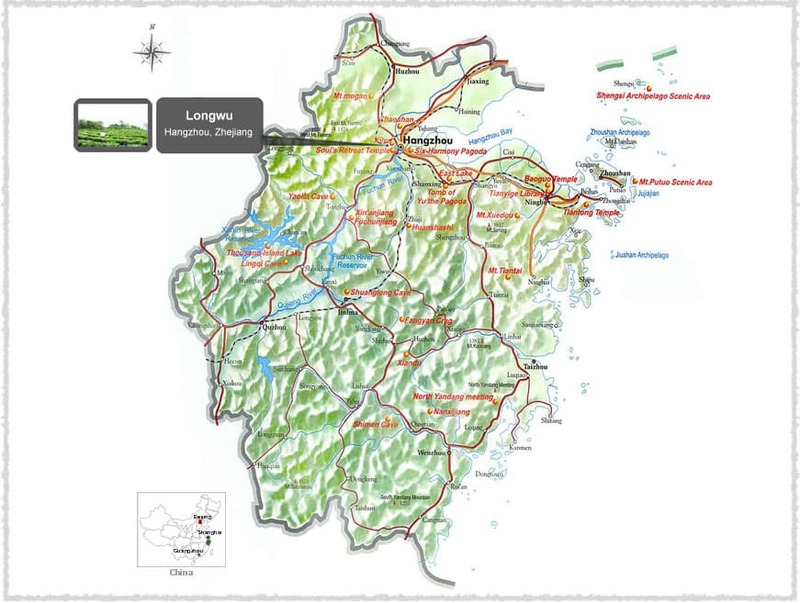 It lies in an area with a lovely mix of mountains, forests, small creeks, and other quality tea gardens. 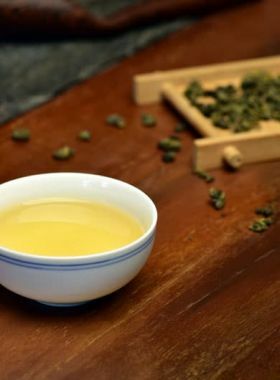 The Longjing Qunti tea tree species, the oldest Long Jing species in record, is also called “Lao Cha Peng” or “Tu Cha Ye” by the local tea farmers, able to be traced back to the Tang Dynasty Long Jing tea made from this kind of species is characteristic in its mellow fragrance, and slightly bitter yet sweet aftertaste. 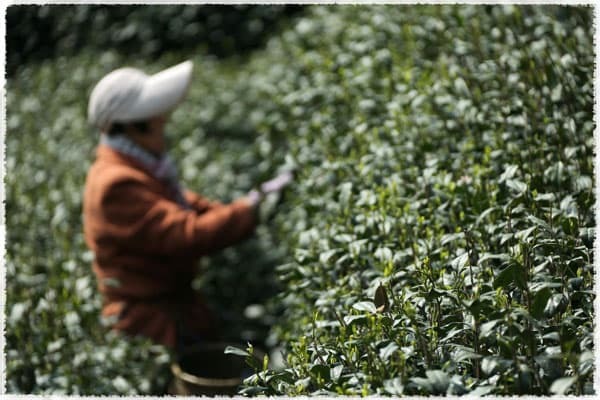 Long Jing tea has a long, distinguished history of over 1200 years. During the Ming Dynasty it became very popular and was listed as one of the top-grade teas in China; then during the reign of Emperor Shunzhi of the Qing Dynasty, the emperor’s love for this tea meant it was frequently presented by petitioners as a royal tribute. After the founding of the PRC, Long Jing was divided into three categories: “Lion Peak”, “Mei Jia Wu”, and the premium “Xihu” Long Jing that we sell. In 1996 the West Lake village of Hangzhou City was recognized by the government as the hometown of Long Jing tea, and in recognition of the value and quality of this tea as well as the importance of the environment and culture to its production, the government also introduced special protections for the area to preserve its natural state and unique tea culture.